Foreclosure Defense | Law Offices of Martin & Hipple, P.L.L.C. Your home is your sanctuary. It is where you and your family find peace, comfort, enjoyment, and shelter. The threat of losing your home is unbearable for most, but very real for some. 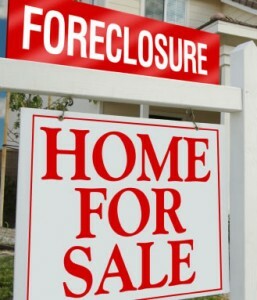 Unfortunately, foreclosures continue to rise. Many homeowners needlessly surrender their homes to the bank without even evaluating the legitimacy of the foreclosure action. Don’t surrender to the banks just yet. Martin & Hipple may be able help. The majority of homeowners are unaware of the rights they have to stop a foreclosure in its tracks. There are a variety of defenses you can raise and alternatives to foreclosure you can pursue. Understandably, navigating the legal issues can be a daunting and confusing task. The law is always changing, but at Martin & Hipple, we continue to follow the changes in the law and are able to explain the defenses available to homeowners. Our number one priority is ensuring that you use all tools at your disposal to protect you, your family, and your home. Save your home. Contact Attorney Stephen Martin for a free consultation.